Download for free, and try out, now at version 5.5. 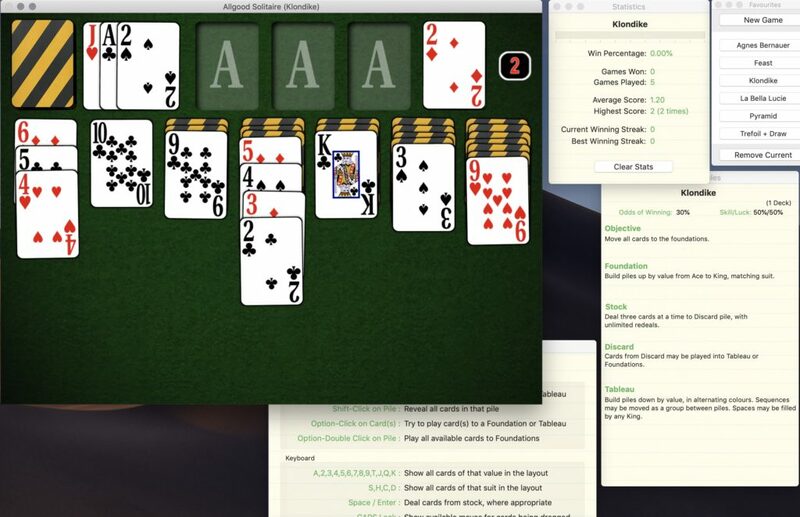 Solitaire is one of the single most popular computer games of all time. There are so many different variations of the game, there is always something for everyone. 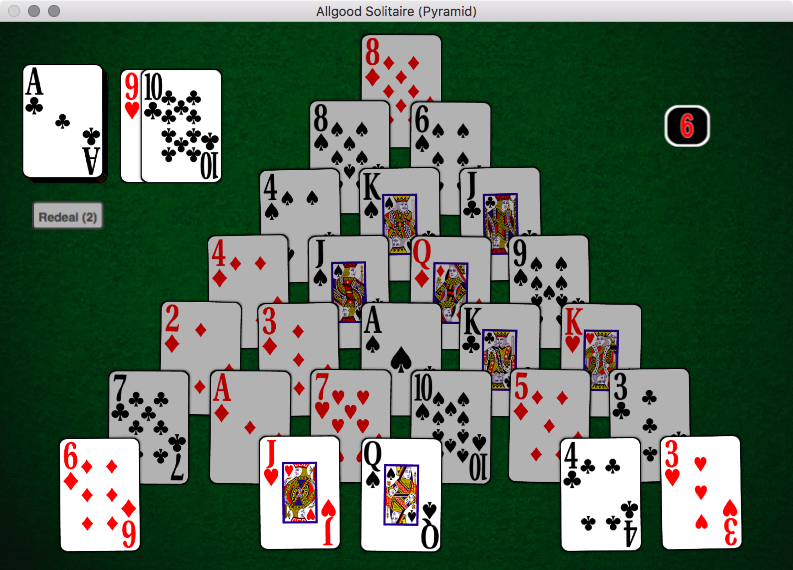 Allgood Solitaire offers 135 different variations, from the familiar Klondike, to the iconic games from history like Spider, Forty Thieves and Free Cell. There are lots of options available during play, including in-game help when learning new games, showing the cards necessary to build piles. 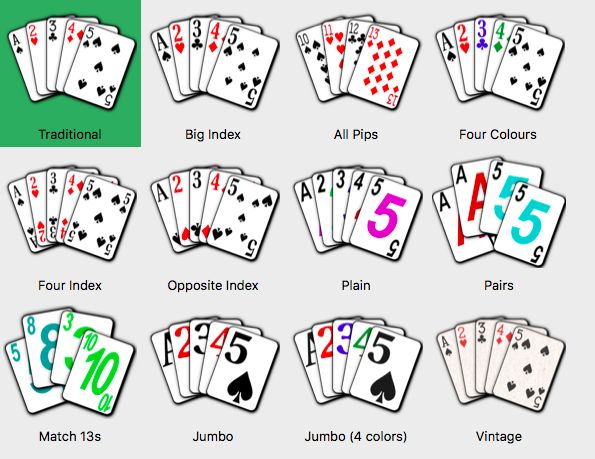 At any time, you can examine the contents of any pile (and watch it change as you play), or turn over any hidden aces. For games like Klondike, where traditionally spaces in the Tableau may only be filled with kings, you have the option to turn off that restriction, and allow any legal sequence of cards to fill a space. 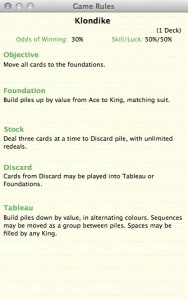 The full automatic play of cards to foundations will make it a lot faster for you to clear the tableau, and will also pick up moves that you might have missed. 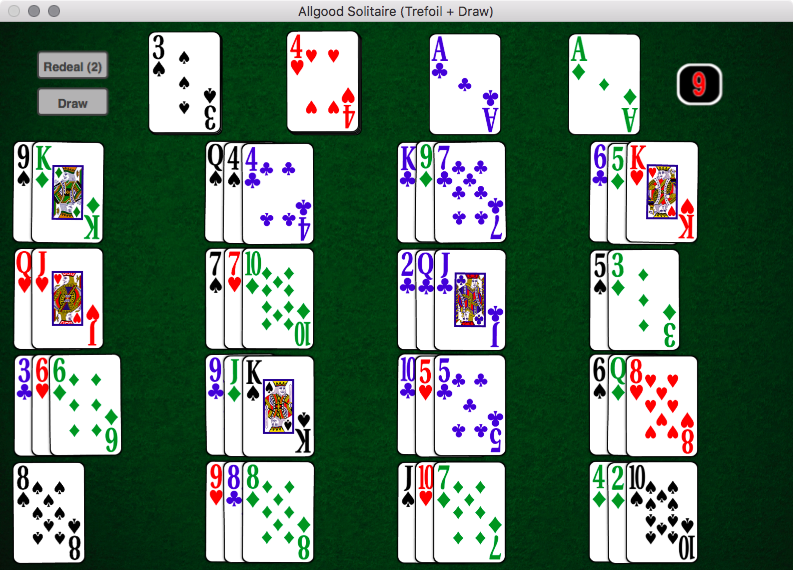 Of course, what Solitaire game is complete without an ‘undo’ feature. 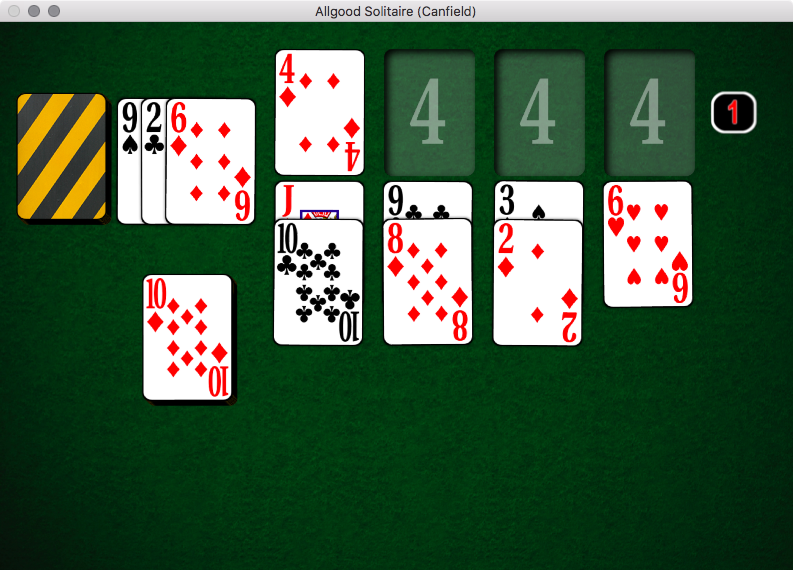 In Allgood Solitaire, you can keep ‘undo’ing back to the game’s start, or last shuffle. Also, you can configure the feel of the game, by changing the deck style to play with, or by replacing the background with an image of your own. 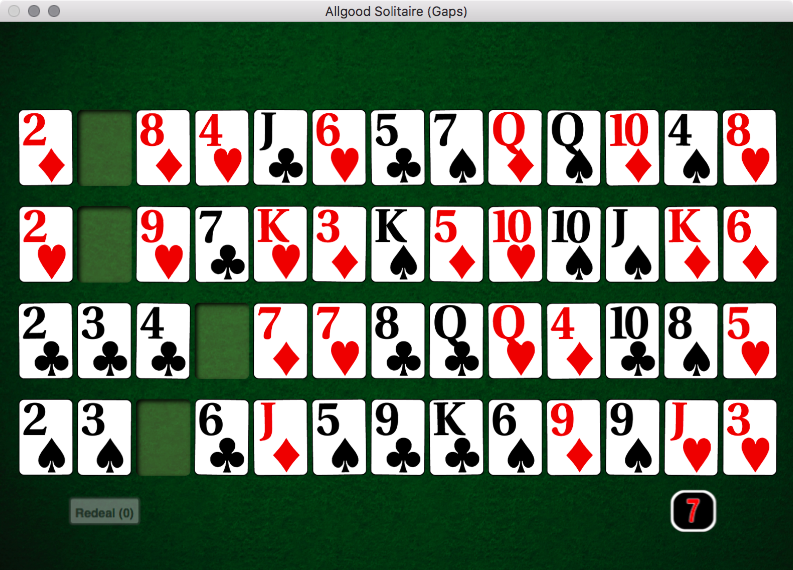 Allgood Solitaire is Shareware, download it and try it out for a while. If you decide to keep it, please register your copy by paying the $9.99 shareware fee. Your registration helps encourage the development and improvement of the software. Unlimited Undo (and Redo), back to the last shuffle. Quickly find all cards of a certain value, or suit. Replay Game – see you if you can do better the second time! Open up a live ‘peek’ view of any pile.